The US has a big trash problem. How big is it? So big that the country has to export rubbish to other nations in order to control the incredible volume of stuff tossed away each year. Now, the conundrum of what to do with recyclable material is about to become more difficult. China’s “Green Fence Initiative,” which was launched in February of this year, bans bales of plastic that have not been properly washed or sorted. 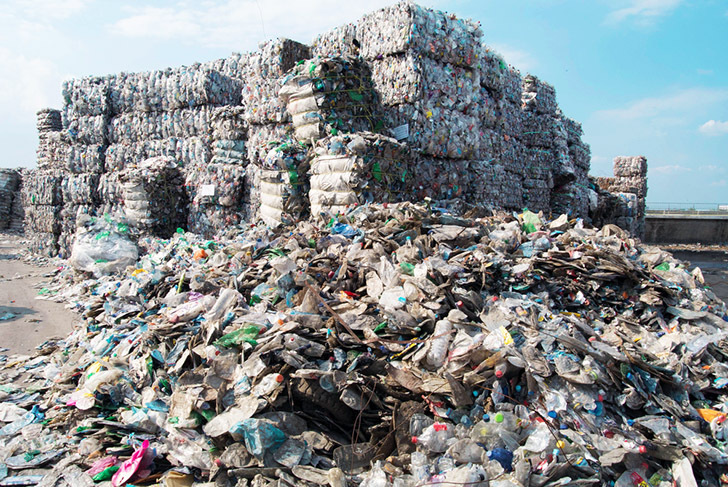 Since this type of plastic tends to be harder to recycle, it ends up in China’s landfills and fuels social unrest in the south of the country. According to Quartz, 68,000 tons of material have been rejected in the first five months of its implementation. 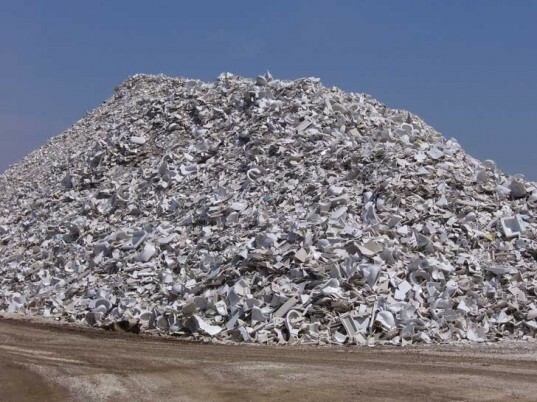 As Quartz reports, the Green Fence Initiative has caused an 11 percent decline in export value in US scrap in the first six months of 2013 as compared to the last half of 2012. Sorting the trash can be a toxic and dangerous affair, and much of it is still done by hand. China is home to “trash mountains” that can grow so high that there have been reports of people being buried under the heaps. However, China still depends largely on the world’s plastic refuse, importing nearly 40 percent of the globe’s total output and sourcing the rest domestically. At a conference entitled the “U.S.-China Scrap Trade Consult Meeting” at the Institute of Scrap Recycling Industries Inc. (ISRI) Convention & Exposition, held April 9-13 in Florida this year, Wang Jiwei, vice president and secretary-general of the China Nonferrous Metals Industry Association Recycling Metal Branch (CMRA) gave the government’s reason for the GFI. He said that the ban was mainly “psychological” to make shippers aware that China will strictly consider the import of substandard materials. Now that the GFI has banned certain types of trash, scrap smuggling is beginning to pop up in the nation’s ports. Meanwhile, the United States continues to struggle to find a place for its plastic. Quartz observes that recycling centers in states such as Oregon and Washington have stopped accepting plastic bags and clamshell containers. California farmers alone use 50,000 to 75,000 tons of plastic each year. As North America runs out of places to recycle or trash its plastics, it remains to be seen whether the GFI will influence industry’s current reliance on packaging. Images via Flickr Users joybot and oddsock. First off, let me say that the US should be recycling and re-using all the materials in the US – good for workers, the economy, and the environment. However, anyone who believes the US can afford to ship recyclables all the way to China to avoid dumping in the US, well, I've got a bridge for you. Also, 68,000 tons, is NOTHING. It is 1,500 tractor trailer loads, 1 hr rush hour truck at the GW bridge in NYC (23,000 trucks a day). Follow the money. Buyers and brokers from around the world BID for containers of US "recyclables", resell them at home to those who think they can make money on the contents. Think of it as "Storage Wars" on a global scale. The brokers make more than enough to want to bribe their, and our gov’t to ensure the supply isn't cut. China bans inspectors from the towns recycling electronics ensuring no international pressure to clean up that dirty business – which in China is provides money to send the kids to school, so they don't have to risk life and limb at manual labor. It's far more likely this is an attempt to lower the bid price for the recyclables or China’s token attempt at Greenwashing.